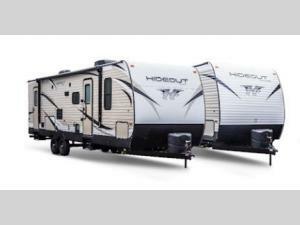 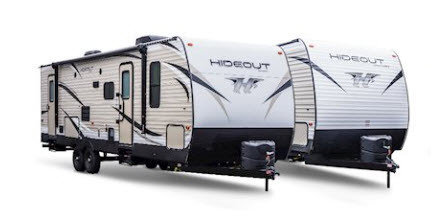 This Keystone Hideout travel trailer has plenty of space for a larger family, or one that likes to travel with friends, because of the addition of a single slide. 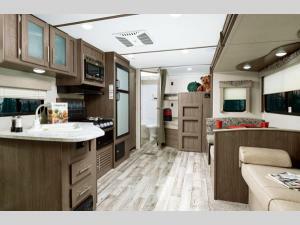 This model features a set of bunk beds for your kids and a queen-size bed in the private bedroom for you. 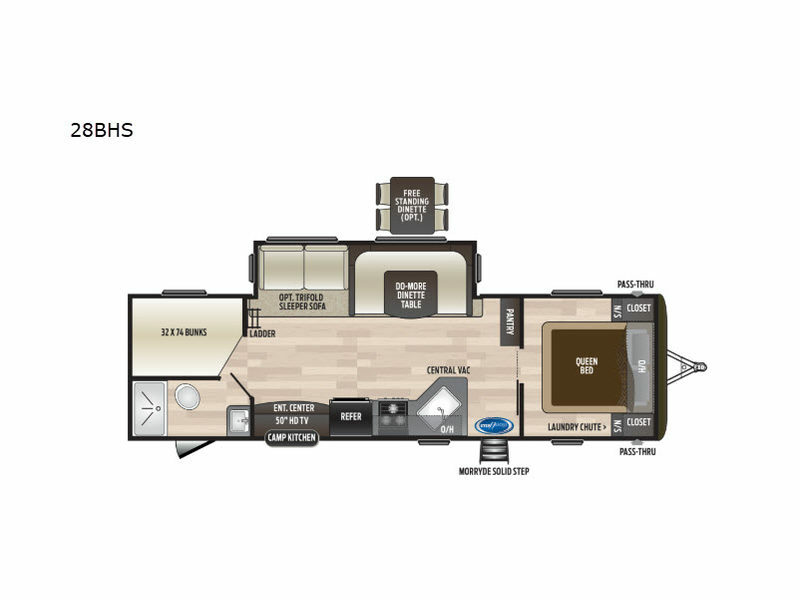 Enjoy all of your meals at the U-shaped dinette and relax afterwards by playing a round of cards. 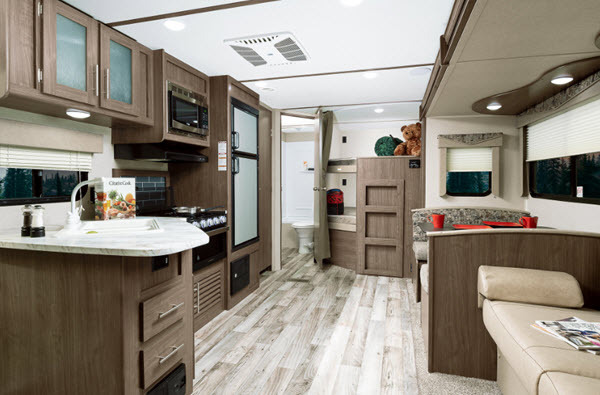 Because this model features two entry doors, you will have direct access into the bathroom while you are enjoying your time spent outside underneath the lighted adjustable power awning.